We have a love affair with food. More than just a means of feeding our bodies, food is an experience. It brings us together as families, friends and communities. That love affair begins long before a first bite. It begins with anticipation. Nowhere is that more apparent than in Kelowna, the hotbed for food in the Okanagan. From April through October, Kelowna offers up a variety of fruits, which all play a part in the thriving agricultural industry. But before the fruit, comes the blossom. 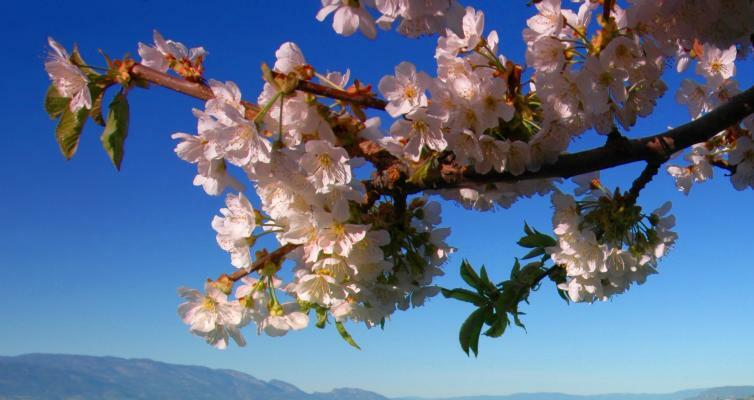 Beginning in early April, Kelowna is awash in blossoms. It’s a dazzling display of pastel colour, trees alive in the rebirth of spring, signalling the promise of sweet rewards to follow. 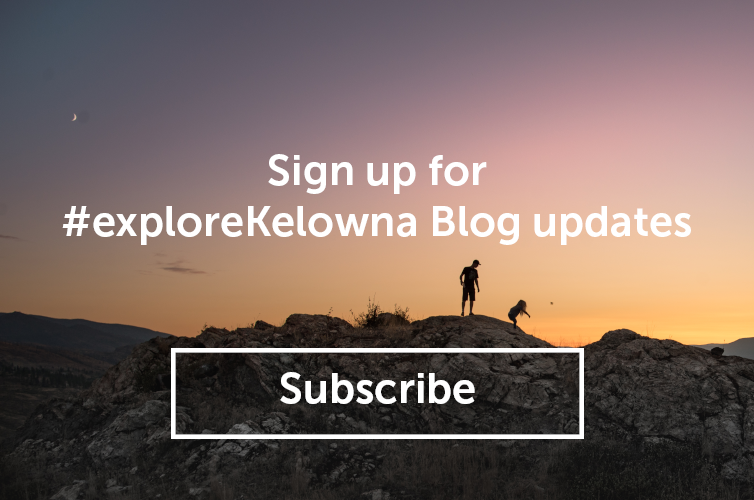 It’s a natural masterpiece, one Kelowna residents have come to love and visitors have travelled from afar to witness. Later in the season, after weeks of watching the fruit first form than colour, we’re finally rewarded with the juicy, sweet taste of apricot, cherry, peach and apple. Cherries produce the first fresh fruit of the season, but often begin to blossom after Apricot and Peach trees. Roadside vendors will offer the first cherry for free. They know the sweet, dark red fruit is irresistible and a much larger purchase will follow. The light to soft-pink blossoms begins to form in mid-April. More than 100 varieties of apple are grown in North America, making it the king of tree fruits. While wine is king in the Okanagan, cider is also popular, making apple orchards a common site. Both SpearHead and The View wineries have beautiful orchards. A visit to see beautiful apple blossoms at either winery comes with the added bonus of a tasting. 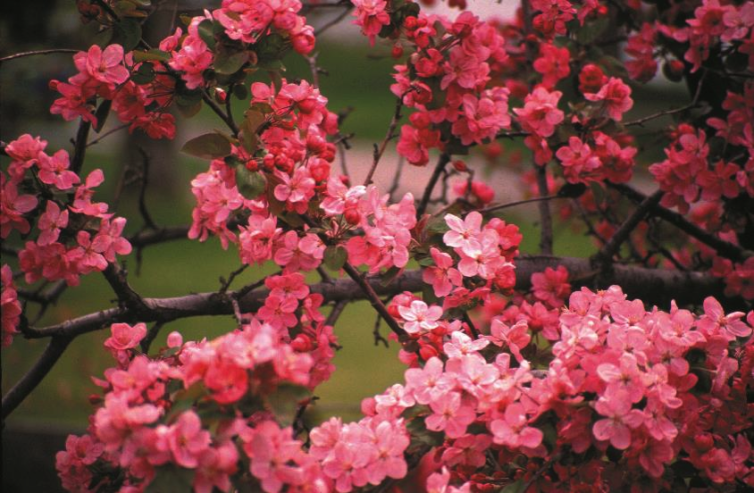 Apple trees begin to blossom in early May and will continue to blossom throughout the month. Can’t wait to bite into a juicy, fresh-from-the-farm Apricot? Sprinkling these five-petaled blossoms onto your salads or desserts will add a delicate apricot flavour. Apricot trees blossom white to pinkish in mid-to-late-April. Who hasn’t had the singular experience of biting into a ripe peach and found their taste buds delighted by the fuzzy cling of succulent sweetness? The pink blossoms of the peach tree begin to manifest themselves in late April and early May. The white flowers of the Pear tree are a strong accent to the green leaves and fruit. Harvested when they are still green, Pears take on their more familiar yellow colour as they ripen. Pear trees blossom between late April and early May. Often confused with Cherry blossoms, the fragrance of the Plum blossom can signal spring to many Lower Mainlanders. In Kelowna, Plums begin to blossom white in late April through early May. Elderberries contain more vitamin C than an orange and are rich in antioxidants, vitamin A and Vitamin B. The bushes bloom into a flurry of white blossoms that are great for flavouring honey and wine. These little berries begin blossoming at vineyards around Kelowna to attract bees (you can find them at Tantalus Vineyards) in June, but aren’t harvested—they’re left for the bees to enjoy! 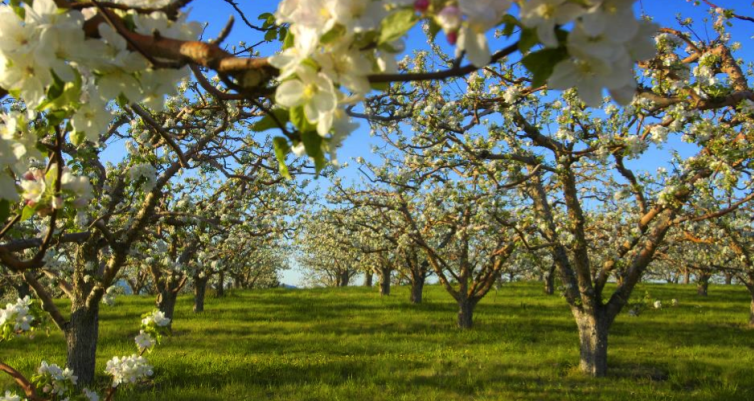 Visitors wanting to experience first-hand the beauty of the spring blossom will find orchards distributed throughout the Kelowna area. A visit to one of Kelowna’s many orchards—such as Arndt Orchards, Kempf Orchards, or Paynter&apos;s Fruit Market—are great places to learn about the fertile region’s produce and flora (and have a taste or two, as well!). On-site sales and U-Pick opportunities offer fresh fruit at affordable prices. Spring is here. Book your getaway now.